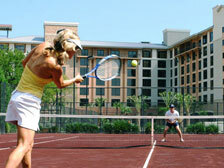 Touted as as one of the "10 best tennis resorts in the United States" by USA Today Magazine, Horseshoe Bay Resort provides a world-class tennis experience for visitors of all ages. Our modern facilities include hard court and clay court surfaces that challenge you to up your game and play like a pro. 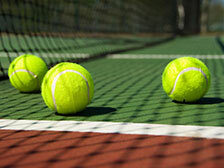 Kids of all ages enjoy summer tennis camps and kid-sized courts that encourage growth and foster love of the game. 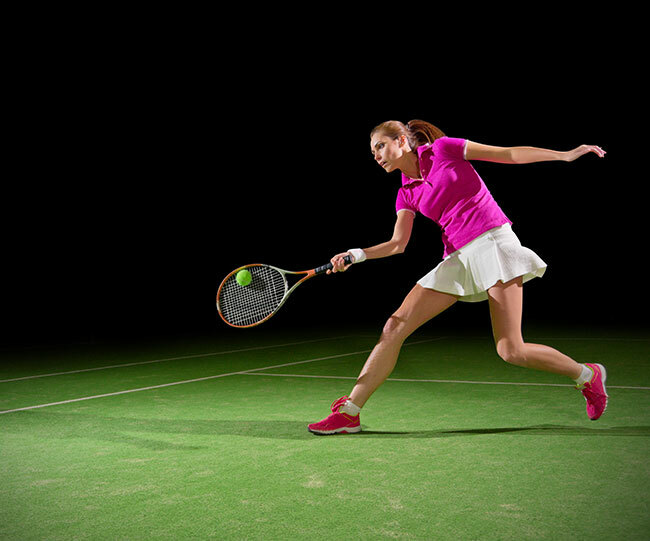 Our certified tennis professionals are available to help you learn the game or improve on your skills with private and group lessons and clinics. Experience an unforgettable tennis getaway or vacation at our Marble Falls resort on the shores of Lake LBJ in Texas. Our six red clay courts offer a stable, yet comfortable playing surface that allows longer rallies and helps to reduce injuries. Our courts also include binders to help you maintain footing and minimize slipping. 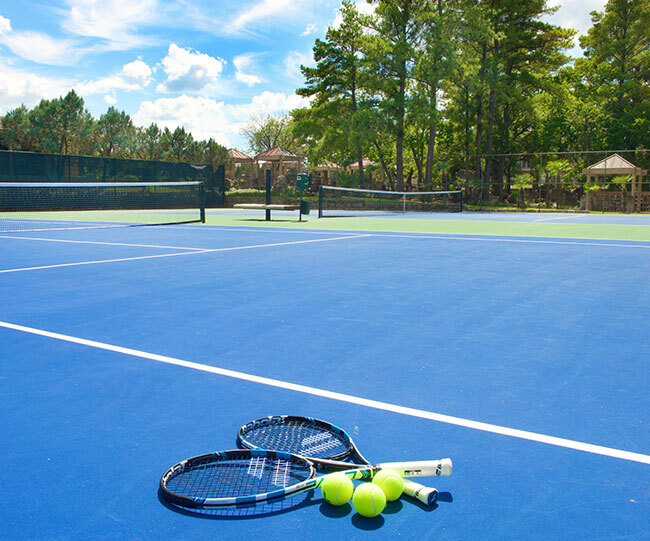 Our eight hard courts feature multi-layer acrylic coatings that are designed for performance and optimal year 'round playing conditions. You'll enjoy a faster game, uniform bounce and more cushion than traditional hard courts. 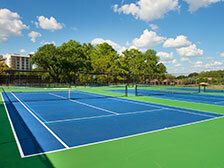 Kids 10 and under will love our three Andy Roddick Kids' Courts. These courts offer a shallower base and sidelines to help children learn tennis concepts and strategies more quickly. A four-time Southwest Conference Champion, our Director of Tennis, Michelle Stallard, has been instrumental in improving our tennis programs and bringing exciting clinics and special events to Horseshoe Bay Resort. Michelle was a GTE Academic All-American at the University of Texas at Austin and has achieved Professional 1 status, the highest rating, from the United States Professional Tennis Association. Whether you're a beginner or a pro, take your tennis game to the next level with our lessons, clinics, tournaments and events. 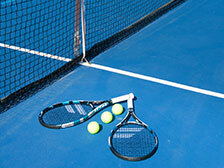 Our 4-hour Ultimate Tennis Makeover helps evaluate your game with two days of professional instruction. Our fun Getaway Tennis & Wine Weekends invite you to escape for a weekend of tennis, wine tasting and luxury accommodations. Our seven, SUSTA-sanctioned tournaments provide a chance for players of all ages and skill levels to participate in a competitive tournament. Call the tennis pro shop at 830-598-2591 for information.